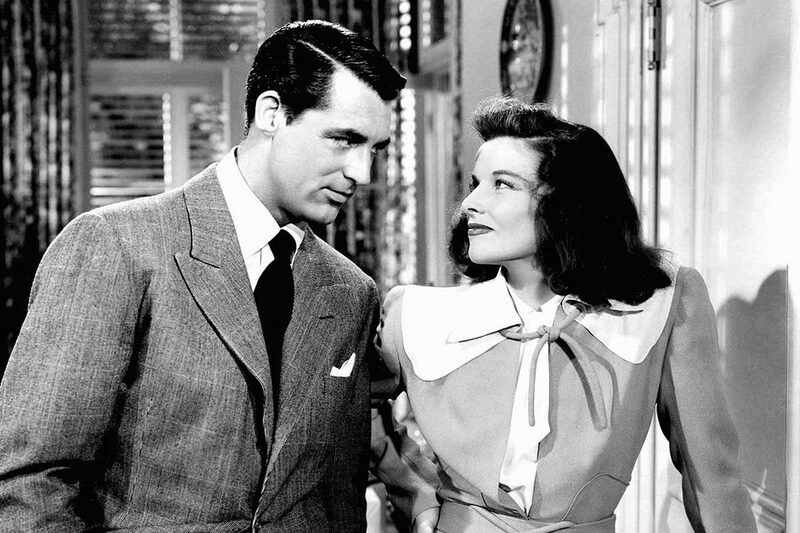 Cary Grant and Katharine Hepburn in The Philadelphia Story, 1940. It’s that time of year again, Valentine’s Day is fast approaching and with it all the anxieties surrounding gifting protocol. Deciding just how to treat the special partner in your life on this minefield of a day can present quite the conundrum, particularly if the man in question is of discerning taste. To alleviate any present purchasing-related stress you may be experiencing, The Rake has put together a selection of gifts that anyone would be lucky to receive. While it’s all-too easy to feel pressure to make grand, sweeping gestures come February 14, the impression of a low-key approach shouldn’t be overlooked. Often, a thoughtful token will do just the trick: think playful accessories that are guaranteed to bring a smile to his face and add instant flair to any ensemble. Rubinacci’s silver pendant silk bracelet is a bestseller for its versatility and elegance, while Kapital’s distinctive fruit print bandana will bring a much-needed touch of brightness during these gloomy months. For something more classic guaranteed to stand the test of time, you can’t go wrong with Albert Thurston’s tricolore braces. Additions to a man’s grooming kit will always be well received, so this Valentine’s Day, consider investing in luxurious products designed to revitalise and rejuvenate. Vitruvian Man’s team of pharmaceutical experts has worked to create revolutionary formulas like the anti-pollution cleanser and toner and resurrection cream moisturiser, loaded with active ingredients to hydrate and soften the skin. A man on the move will appreciate a multi-purpose product like the three-in-one face cream from The Grey Men’s Skincare or look to Proverb for their Skin Resistance Training Supplement Capsules, which will aid in solving skin issues from the inside out. Keep it simple this Valentine’s Day with timeless gifts that every man needs: consider the foundational blocks of a classic wardrobe and invest in pieces made to last. Hamilton and Hare’s signature cotton boxers are a good starting point and represent the marriage of comfort and elegance, while Edward Sexton’s superfine cotton white pin collar shirt is a most luxurious piece of sartorial artistry. A man can never have too many ties and Tie Your Tie’s embroidered wool offering is a versatile wardrobe addition guaranteed to become an enduring staple. Although it may be difficult to imagine long days and blue skies at this time of year, it won’t be long until they are very much upon us. Stay ahead of the game and invest in suitable gifting that will no doubt generate excitement for the warmer months. Calabrese 1924’s Hawaiian print swim shorts will do just that: handcrafted in Italy, they are both comfortable and stylish, meaning they will be worn for summers to come. As far as classicality goes, you can’t overlook Ray-Ban’s iconic Wayfarers or Sunspel’s short sleeve Riviera polo shirt, initially created for Daniel Craig’s turn as James Bond in Casino Royale.